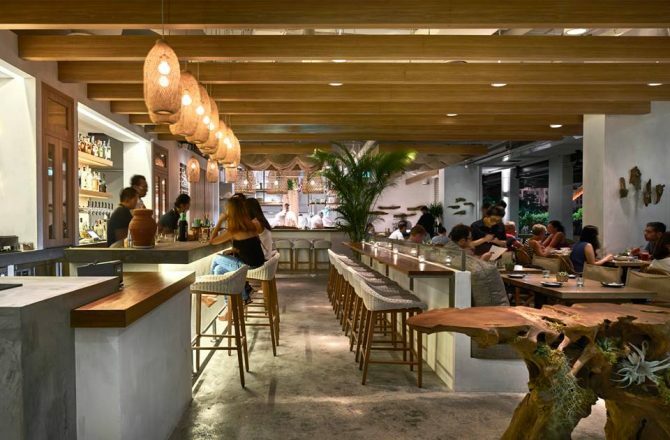 While its nearest body of water is the Singapore River, Summerlong still checks off all the boxes of a beachside oasis with its open-air space drenched with natural lighting in the day, complementing the wooden tabletops and burlaps placemats that further cement the restaurant’s tropical vibe. Along with its yummy Meditteranean-leaning small plates, Summerlong seems like an ideal venue to start the spirits flowing as early as brunch time. However, the demands of work-life have us easing into the bar in the evening, where we are promptly serve a trio of its popular cocktails. Even as night takes over, the chill beachside vibes are in continuity as we sip on the Pom Cos Mo ($17), Summerlong’s twist of the classic Cosmopolitan. Familiar with the translucent viscous goop you probably rinse down the drain when you open a can of chickpeas? 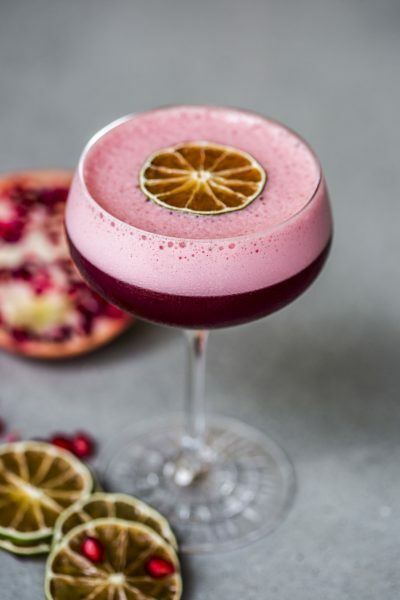 Called aquafaba, the thick liquid is saved and used in the cocktail for body, before laced in Cointreau and vodka that is infused with Turkish pomegranate tea leaves. Fun fact: Head Bartender Mohd Irwan shares tea leaves open up in hot water hence the bitter taste, but soaking them in the spirit just draws out the flavours. The cocktail proves to be refreshing while reflecting strong fruity flavours of the pomegranate tea. A must-order if Carrie Bradshaw is your spirit animal. 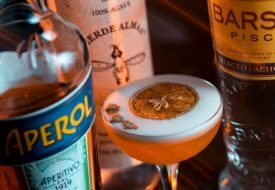 One noteworthy aspect about the cocktails at Summerlong is that the sweetness and flavours stem from fruit purees, juices and the bar’s hand at making its own infused-spirits. 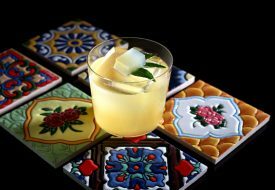 The is clearly illustrated by the 3 Continents ($21) that boasts a blend of three infused-rums namely: pineapple, black peppercorn, and cinnamon. 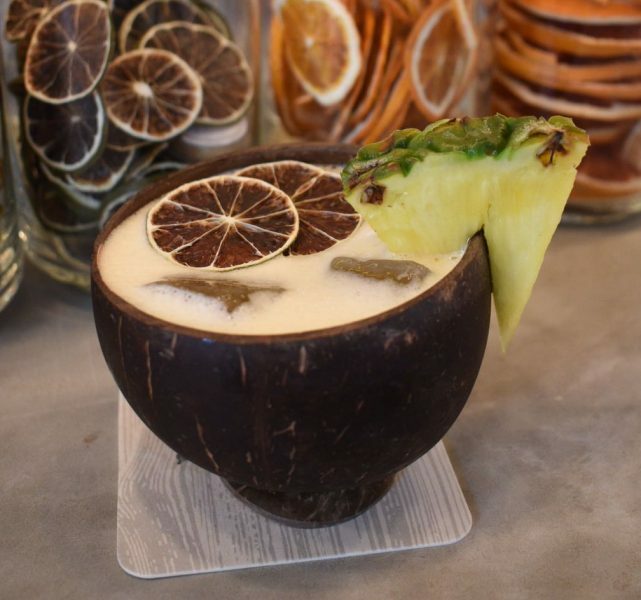 The potent libation is then masked by almond coconut cream, pandan juice and smoked pineapple puree, before served in an adorable coconut shell. With the smokiness coming through from the fruit puree, the tropical cocktail is our top pick of the evening. If you need something to last the night, look to caffeine-fueled Heavenly Stars ($20). 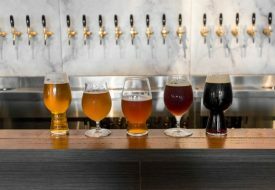 Although our least favourite of the three, coffee-drinkers will most likely get a kick out of the bitter drink’s rye and braulio-spiked coffee bianco. An ideal midday pick-me-up if you’d ask us!